Head to City Lights Booksellers & Publishers and Ferry Building Marketplacefor plenty of shopping. Do some cultural sightseeing at Alcatraz Island and Palace of Fine Arts Theatre. There's lots more to do: snap pictures at Golden Gate Bridge, explore the engaging exhibits at The Exploratorium, wander the streets of Union Square, and take in the waterfront at Fisherman's Wharf. To see other places to visit, reviews, maps, and more tourist information, read San Francisco travel itinerary creator. Boston to San Francisco is an approximately 7.5-hour combination of bus, flight, and subway. You can also drive; or take a bus. You'll gain 3 hours traveling from Boston to San Francisco due to the time zone difference. Traveling from Boston in June, you can expect nighttime temperatures to be a bit cooler in San Francisco, with lows of 54°F. Finish your sightseeing early on the 18th (Sun) so you can drive to Grand Canyon National Park. Step off the beaten path and head to Grand Canyon South Rim and Horseshoe Bend. Get in touch with nature at Rim Trail and South Kaibab Trail. On the 20th (Tue), hike the day away at Bright Angel Trail. There's more to do: appreciate the history behind Powell Point and take some stellar pictures from Grandview Point. For maps, ratings, reviews, and more tourist information, use the Grand Canyon National Park online itinerary creator. Getting from San Francisco to Grand Canyon National Park by car takes about 12 hours. Traveling from San Francisco to Grand Canyon National Park, you'll lose 1 hour due to the time zone difference. Traveling from San Francisco in June, expect nights in Grand Canyon National Park to be little chillier, around 39°F, while days are somewhat warmer, around 84°F. Wrap up your sightseeing on the 23rd (Fri) to allow time to travel to Savannah. 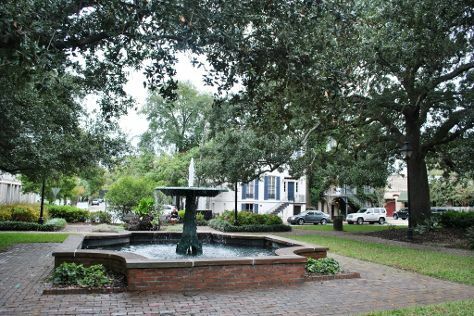 Start off your visit on the 24th (Sat): take a stroll through Savannah Historic District. To see more things to do, traveler tips, reviews, and more tourist information, go to the Savannah vacation planner. Do a combination of car, flight, and taxi from Grand Canyon National Park to Savannah in 13.5 hours. Alternatively, you can drive. The time zone changes from Mountain Standard Time to Eastern Standard Time, which is usually a 2 hour difference. Plan for much hotter nights when traveling from Grand Canyon National Park in June since evenings lows in Savannah dip to 71°F. On the 24th (Sat), wrap the sightseeing up by early afternoon so you can travel to New York City. Get a sense of the local culture at The Metropolitan Museum of Art and Fifth Avenue. There's still lots to do: make a trip to Central Park, pause for some photo ops at Statue of Liberty National Monument, see the interesting displays at New York Public Library, and browse the exhibits of 9/11 Memorial. To find where to stay, ratings, other places to visit, and tourist information, refer to the New York City travel planner. You can do a combination of taxi, flight, bus, and subway from Savannah to New York City in 4.5 hours. Alternatively, you can drive; or take a bus. Traveling from Savannah in June, expect New York City to be little chillier, temps between 80°F and 64°F. Wrap up your sightseeing on the 29th (Thu) to allow time to travel back home.